One of the most significant advancements in modern dentistry is the dental implant. 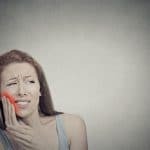 These ingenious devices are inserted into the jaw to replace a missing tooth root and dental implants Santa Clarita are quickly gaining popularity. 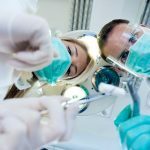 As with any other dental surgery procedure, implants require prior planning, preparation and often the collaboration of different dental specialists. Implants are used to replace missing teeth and involve a screw-like device being fitted into the jaw bone with a small portion protruding above the gum line. The top part is attached to the tooth crown or denture after the healing process. Before the procedure, the dentist first ensures that there is enough bone tissue to support the implant using x-ray imaging. Jaw bone tissue deteriorates over time when there is a missing tooth, and if it’s too thin, a bone graft is required. The graft can be prefabricated, or the surgeon can take some bone tissue from elsewhere in the body. Additionally, the jaw ridges can be reshaped in such a way that the implant will be firmly anchored. The healing period typically takes several weeks to a few months. 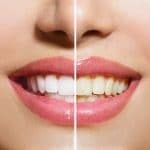 Ideally, candidates for dental implants Santa Clarita should have good oral health, and gum disease will have to be addressed first. After the Smile Care, Valencia team has finished consultation and preparation, the implant is inserted with the patient under anesthesia. The oral surgeon makes an incision and inserts the implant deep into the jaw tissue and closes it up with sutures. You will then return to the office after ten days to have the sutures removed. 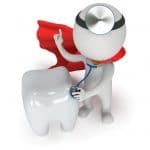 Stage one of the implant procedure is finalized by a healing period lasting many months to a year. During this time, the jaw bone tissue fuses with the implant to create a firm foundation resembling a natural tooth root. The second stage begins after the implant site is healed and the dentist has confirmed that the implant is fully fused with the bone tissue. Once confirmed, the top part of the implant, called the abutment, is screwed on top of the implant and sticks out above the gum line. An impression is taken and forwarded to the lab so that a customized denture, crown or bridge can be fabricated. The final stage in the dental implants Santa Clarita procedure is the placement of the customized crown or denture. Luckily, you won’t have to wait too long for this since you can have your customized dental appliance ready within a fortnight. Patients have the option of getting permanent or temporary dentures depending on their preference. 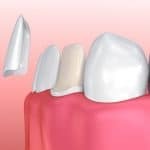 Since the crowns, dentures, and bridges are customs made, dental implants can be used for other purposes like replacing crooked teeth and even a full arch of the lower or upper jaw. 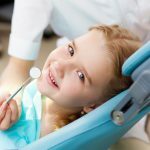 Need Emergency Dentist in Santa Clarita?